For Aussie kids the summer holidays are drawing to a close, and it’s time to get our seasoned students and new starters excited about heading back to school! Impossible, you say? Not with our fun back-to-school checklist. We’ve compiled a bunch of ways to get the kids prepped and even a little bit enthused about returning to school. And they may even learn something along the way! 1. Make it a delicious return to school! While the old adage says that the way to a man is through his stomach, I tend to think many children are the same! 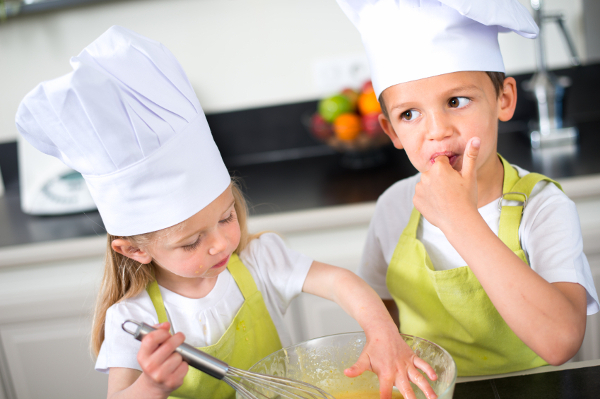 So plan some fun, food-based activities that will entice the kids, and get their creative juices flowing. Plan a back-to-school-eve dinner. 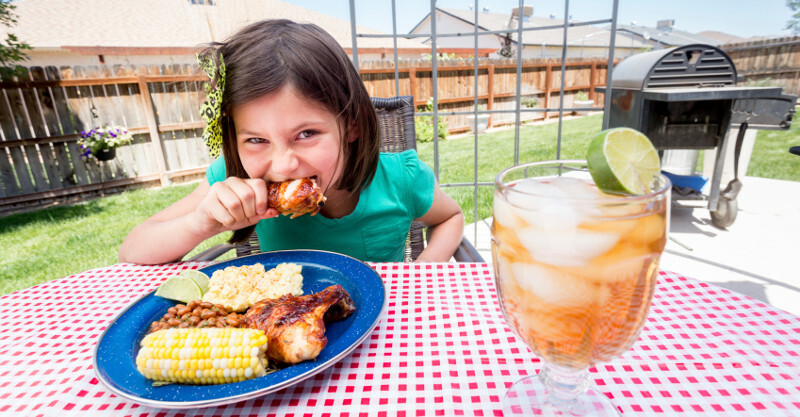 Get the kids involved in planning a dinner, writing a menu and creating placemats. If breakfast is more your meal of choice, let the kids indulge in their favourite breakfast on the first day of school. Pancakes anyone? For those kids returning to school, ask them which school lunches are their favourites, which ones they don’t like, and some new things they’d like to try. New school starters can draw pictures or make a Favourite School Lunches Wishlist, which will also give parents some great prompts for something a little different to pop in the lunchbox every now and again (because no doubt fairy bread will make an appearance on the list). Writing is one of the most important skills kids will learn, and it needs to be practised daily. Over the holidays writing may have taken a back seat to other activities, so get the kids to pick up a pen and make a few lists of their own. They can make a list of what they’re looking forward to about returning to school – and even what they’re dreading. It’s a great conversation starter and a way to work through any anxieties. 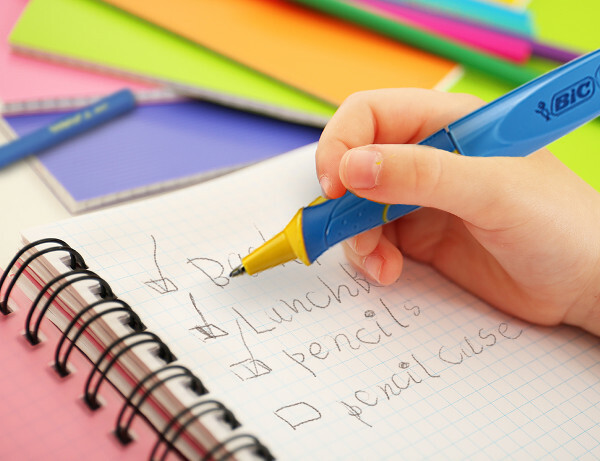 Ask the kids to make a list of what they’d like to achieve at school this year. 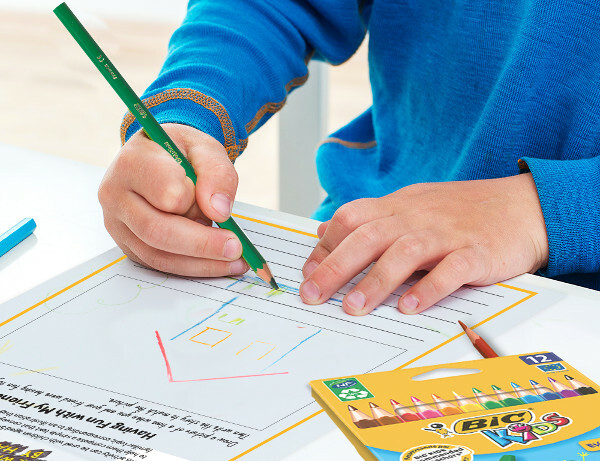 BIC’s brilliant Bright Futures campaign is all about getting kids back to basics – putting pen to paper. There are some great, free downloadables at Bright Futures, suitable for kids aged from four to 12. They’re aimed at getting kids thinking and writing, all while having fun. If there’s one thing kids love, it’s their own space and their own stuff. Treat the kids to a little shopping spree so they can deck out a space in their rooms where they can do their school work. For new school starters, a little desk (or their own dedicated space) and some new pens, pencils and markers will make them feel ultra-important. Once it’s set up, get them to test it out. One of the best ways is to get them writing – and if you’ve ever wondered how important it is for kids to put pen to paper, take a look at some of the findings from the BIC Australia-commissioned study, Bright Futures are Written by Hand. It found 15 per cent of children write by hand less than one a week. A sad fact, when experts recommend that children do at least 15 minutes of handwriting a day. We know a new school wardrobe isn’t in everyone’s budget (and most kids will be in uniform anyway), but just a couple of little extras will be enough to make the kids feel like the first day back is rather special. A new sun-safe hat, or a brand spanking pair of new shoes will put a smile on their dial. If they’ll be wearing a uniform, let them try it on, and tell them how grown up they look. No doubt they’ll be itching to wear it again on the first day! For those returning to school, it may have been some time since they’ve seen their school friends. So make a point of reconnecting with them by setting up a play date. It may help shake some of the back-to-school grumpiness! For those just setting out on their school journey, consider planning a get together with kids they’ll be going to school with, and friends who may be going to different schools. It’s a great way to end the summer holidays, and help those first day nerves. If you want any more information on the importance of handwriting for children, have a look at Bright Futures. We wish all of our students a bright and happy school year!